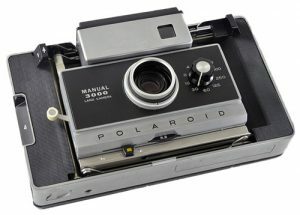 This page is for electronically modifying your Automatic Land Camera to manual controls using my custom Manual Option 3000 circuit board kit. You must have the kit in order to complete the conversion shown here. These instructions assume you have basic knowledge of electronics, soldering and your camera. As long as you follow this page you will have no problems. But I am not responsible for anything that may go wrong and no warranty is implied by purchasing the kit. If you are feeling unable to do this yourself, I am happy to do it for you. 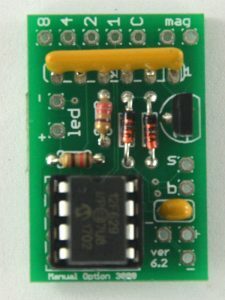 Printed circuit board with components soldered to it. Metal shaft rotary switch and knob. Soldering iron with a fine tip.